Linc Energy has drilled 44 monitoring wells at its test site near Wright, Wyoming. 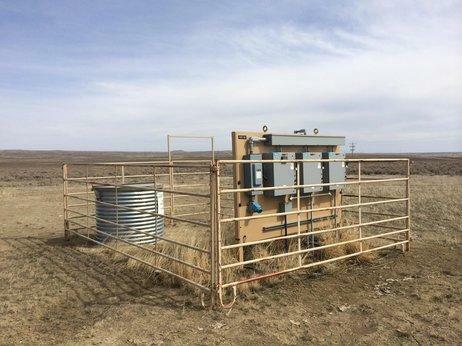 The federal government has given its blessing for an underground coal gasification (UCG) test project in Wyoming. UCG involves gasifying -- basically, incompletely burning -- coal seams deep underground to produce syngas, which can be converted to diesel and other liquid fuels. Linc Energy’s project needed Environmental Protection Agency approval because it will pollute an aquifer (the company says it will restore the aquifer to its original quality after the test burn). Several environmental groups challenged that assertion, pointing to past cases of contamination from the technique and to recent news that the Australian government has charged Linc for causing “serious environmental harm.” Shannon Anderson, with the Powder River Basin Resource Council says the EPA decision is shortsighted. "There’s good quality water in this aquifer that make it a potential future source of drinking water," Anderson said. "And we believe the spirit, intent and the law of the Safe Drinking Water Act requires good quality water sources to be protected." Anderson adds that her organization is considering a legal challenge to the EPA’s decision. Meanwhile, the state welcomed the EPA's conclusion. 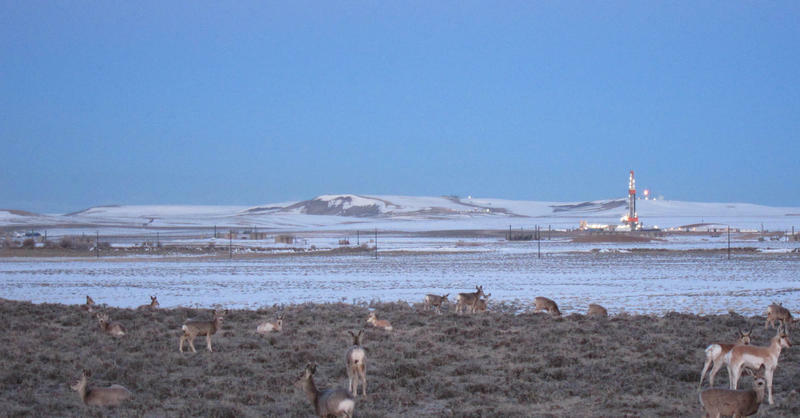 In a press release, Wyoming Department of Environmental Quality director Todd Parfitt said, "It's encouraging to see that the EPA and DEQ, after conducting independent reviews of the scientific information and public comments, have come to the same conclusions." The DEQ was criticized during the permitting process for excluding the public. The EPA ultimately asked the state to conduct an additional public hearing, to gather feedback. DEQ Water Quality Administrator Kevin Frederick says in the future, that will be incorporated into the process. "We want to, in water quality division, make sure that there’s opportunity for public comment on our proposed classifications that don’t have to take place before essentially a[n Environmental Quality] Council hearing," he said. Linc Energy declined to comment on when or if it might begin its test project. Correction: This story has been changed to reflect that gasifying is distinct from complete combustion.